After going up against Jaormir Jagr one-on-one in a recent Calgary Flames practice, defenceman Dougie Hamilton paid the future Hall of Famer a compliment – one he’s likely heard several times throughout his career. The 6-foot-6 blueliner couldn’t help but marvel at the skills displayed by the 45-year-old forward and five-time NHL scoring champion who recently inked a one-year deal with Calgary. When the opportunity for a brief chat came about, Hamilton, who had caught up to Jagr, proceeded to tell his new teammate what he had been thinking ever since the two-time Stanley Cup winner (with Pittsburgh) joined the Western Conference club. “It’s definitely nice to have him here,” said Hamilton. “Just having played against him in the past, you realize how good he is and some of the things he does – you know why he’s had such an amazing career. He’s tough to get off the puck, tough to defend, he’s a big body and he has that ability to still make big plays. I experienced that in the last couple of practices. Jagr, who helped his native Czech Republic claim Olympic gold in 1998 and gold at the world championships in 2005 and 2010, got a chuckle out of Hamilton’s words. It’s something Hamilton saw when he and Jagr were teammates with the Bruins in 2012-13. The Ontario native didn’t forget what he learned from the three-time Ted Lindsay Award recipient. Taking away the puck from Jagr, even in practice, is a much different story. Still, Hamilton relishes the chance to test himself on the ice and receive a hockey education of sorts after practice is over. 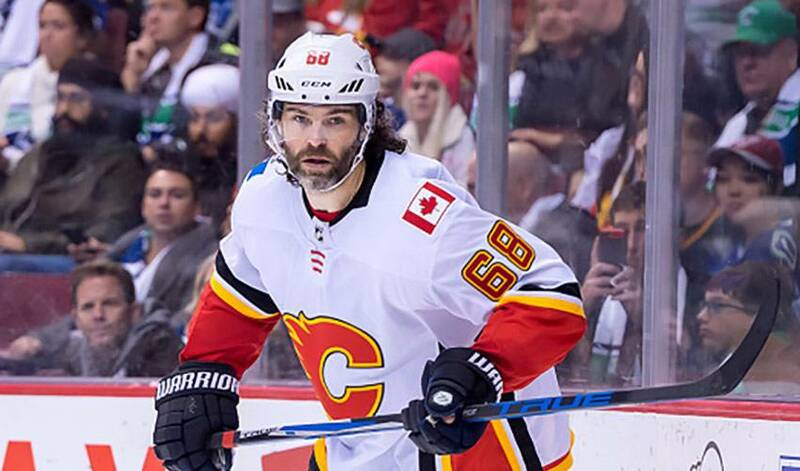 Just don’t expect Hamilton to pay tribute to Jagr by emulating the famous hairstyles he’s sported over the years.“I don’t know about that,” he said. “Mine’s pretty short right now. It might take a while, but it would be pretty funny. There is a silent bond between brothers. That special bond connects Calgary Flames defenceman Dougie Hamilton with his older brother and teammate, Freddie.